When most people visit Hawaii, they go to at least one luau. My husband and I went to Oahu for our honeymoon several years ago, and we loved the Kalua Pork at the Ali'i Luau we attended at the Polynesian Cultural Center. 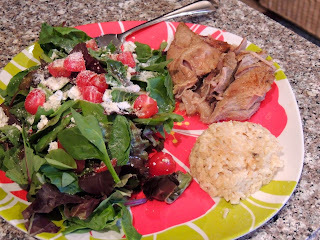 A couple years ago, we decided to try to replicate the flavor of the Kalua Pork at home. Kalua Pork is simply smoked pork. At a Hawaiian luau, they present a pig that was smoked all day in an underground imu. Usually the pork is wrapped in banana leaves while it is cooking. If you don't have room in your backyard to dig a hole big enough for a whole pig to smoke all day...then I guess you can't cook kalua pork at home. No, no, no. Just kidding. 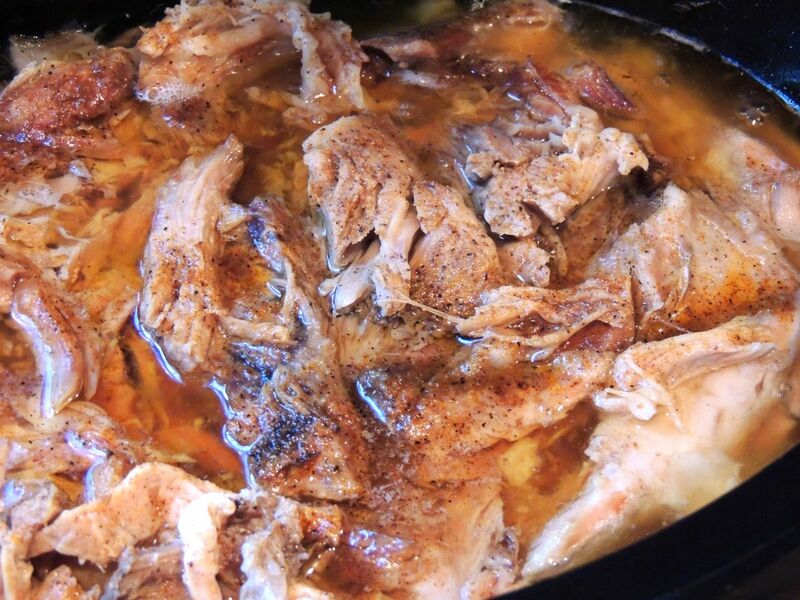 It's super easy to replicate the taste and flavor in a crockpot. I've included this super simple recipe in this post. I've also included the recipe for Coconut Rice, which is a perfect accompaniment to Kalua Pork and is also super easy to make. 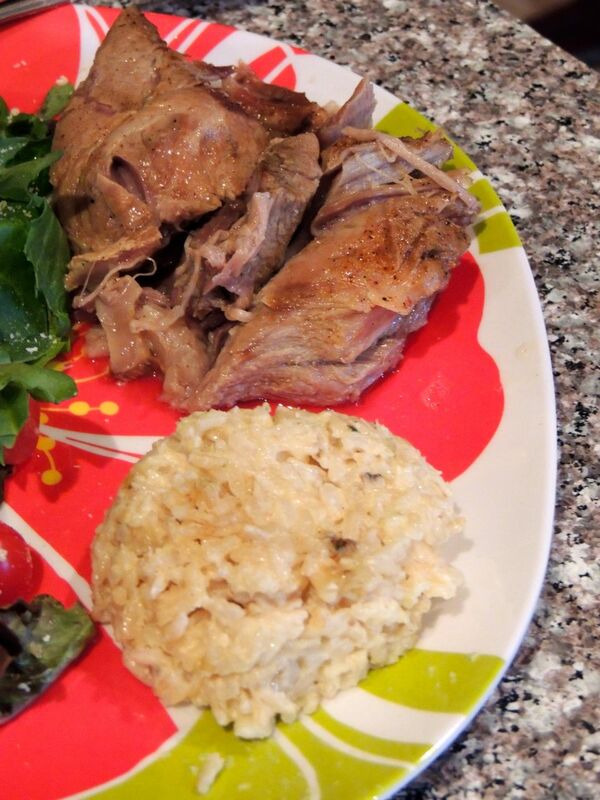 We served our Kalua Pork and Coconut Rice at a luau party we had last summer, and some of our guests commented that the food tasted better than the food at a luau in Hawaii. A few months ago we attended a luau while visiting Maui, and I would have to agree that I like these recipes better than what they served in Maui. 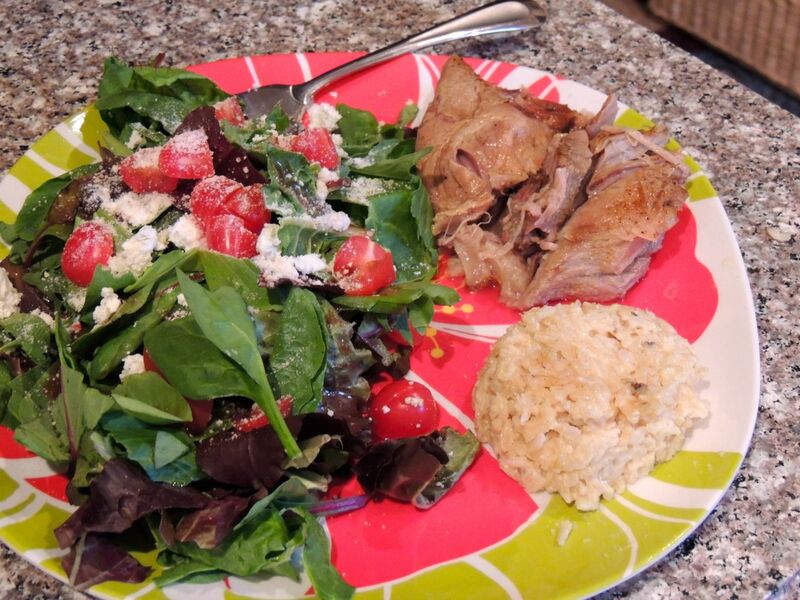 So, if you want a taste of a tropical paradise at home, you can't go wrong with these recipes for Kalua Pork and Coconut Rice. Put the pork roast in a crockpot and sprinkle with salt. Turn your crockpot on high for 8 hours or until the bone comes out clean. You almost can't overcook it. There will be a lot of juice from the pork. 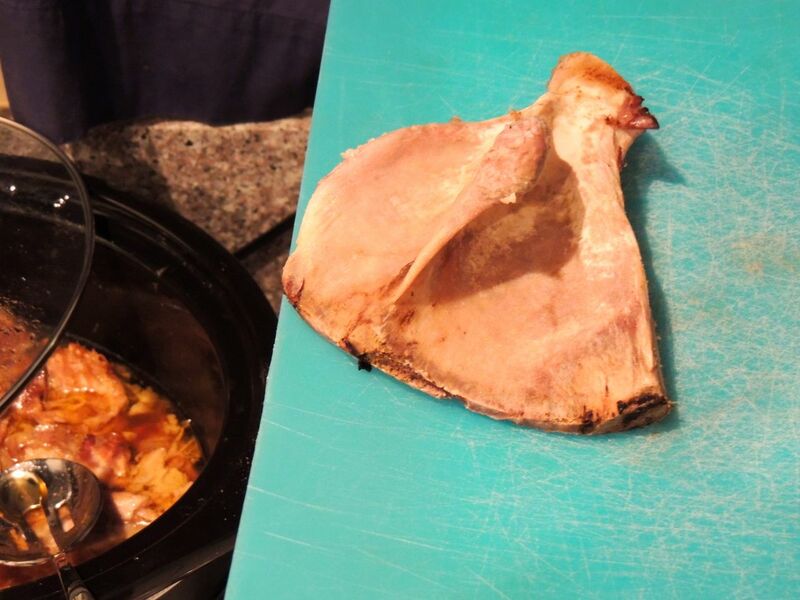 After you take the bone out, add the liquid smoke to the juice and stir so that the meat is evenly flavored. Sprinkle with TexJoy. At parties, we usually serve the pork straight from the crockpot, but you can transfer it to a serving dish if you want to dress up the presentation. Put all ingredients in a pot. Bring to a boil. Reduce to low heat. Simmer for 30 minutes, and check it. Scrape sides of the pot to incorporate any part of the mixture that has boiled up and stuck to the sides. 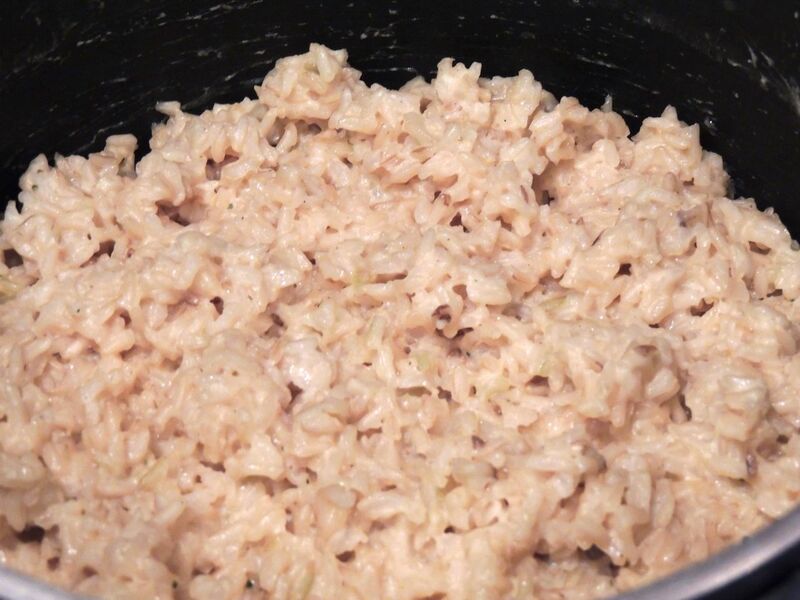 Keep checking every 10 minutes until the rice is sticky and there is no visible liquid at the bottom of the pot. Transfer to a serving bowl. We've accidentally overcooked the rice before, and I actually LOVED the burnt, crispy rice that was stuck to the bottom of the pan. It was almost like coconut candy. 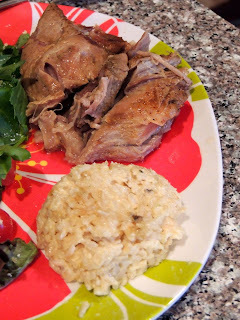 My husband and I just finished devouring Kalua Pork and Coconut Rice for dinner tonight. It was awesome served with a salad topped with a sprinkling of goat cheese. Since we visited a goat farm on Maui that makes goat cheese, I associate goat cheese with Hawaii. You could also enjoy these recipes with an Ono Mai Tai.